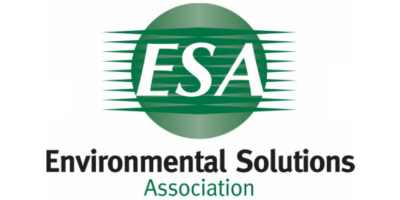 Environmental Solutions Association (ESA) is the nation’s premier, membership-based training organization. ESA was formed in 2002 exclusively to provide industry professionals with the quality training and education necessary to confront environmental and safety issues faced by property owners, inspectors, daycare facilities, schools, nursing homes, hospitality, extended care facilities, remediation experts, investment firms, engineers, environmental consultants, property managers and all other related industry personnel. ESA offers license-renewing continuing educational credits and certifications required by most State and national organizations. We offer professional benefits including: training courses and product discounts, Professional Environmental & Omissions Insurance plus other insurances, photo I.D certifications, marketing programs, referral program, company website page advertising, rental equipment, inspection standards, remediation/restoration protocols and review, plus more. We train students for inspections, assessments and remediation in environmental issues such as: EPA Lead Renovator, EPA Dust Wipe Sampling Technician, Energy Audits, mold, radon, lead, asbestos, allergens, bacteria, MRSA, H1N1, virus’, Legionella, building inspections, VOC, Sick Building Syndrome, Building Related Illness, green building, remediation specifications, environmental consulting, anti-microbial product application recognized by the EPA and USDA, Phase I Environmental Site Assessments (ASTM 1527-05), Transaction Screen Assessments (ASTM 1528-06), Methamphetamine labs, Indoor Air Quality and more. ESA has also gained approval from the Veteran Administration for active/inactive military personnel for full reimbursement of course/test cost(s) under the GI Benefits program. ESA is recognized by but not limited to; EPA’s RRP Certification, EPA/HUD Lead Dust Wipe Sampling Technician Certification, PA Department of Education, PA Career Link, Work Force Development, PA DEP, Veterans Administration, IICRC, NCHILB, AAREI, NEHA, NRSB, NADCA, InterNACHI, NAHI, KREIA, SDREC, ABIH, IAQA, FAL, ACAC, TX DOH, NJ DOH, FL Board of Engineers, FL Board of Business Licensing, FABI, FL DOH, Ohio DOH, NJ Board of Home Inspection, CREIA, Illinois Emergency Management Agency, Virginia DPOR, Washington State Home Inspection Board, Tennessee Department of Insurance and Commerce, New Jersey State Board of Home Inspection Advisory Committee, New York State Home Inspection Licensure Board, plus more. In total our courses are recognized by more than 30 different State boards, licensing bodies, and national associations. Affiliates/Contracts ESA is proud to be currently working with or have held contracts with the following: • Franchises – Paul Davis Restoration, World Inspection Network Inc., HomeTeam Home Inspection, HouseMaster Inc, Merry Meeting Inc., US Inspect, ReMAX, National Property Inspectors Inc., Microbe Guard Inc., EnviroSpect Franchise Inc., B-Dry Basement Systems, • Associations – Pennsylvania Builders Association, Inter-National Association of Certified Home Inspectors (InterNACHI), Northeast Home Builders Assoc., National Institute of Building Inspectors (NIBI), Tennessee Builders Association, Environmental Assessment Association (EAA), Lead and Environmental Hazard Association (LEHA), Foundation of Real Estate Appraisers (FREA), National Association of Home Inspectors (NAHI), Maryland Association of Home Inspectors. • Colleges and Universities – Penn State University, Keiser College, Valencia College, Hudson Valley Community College, Delaware County Community College, Santa Fe Community College, Columbus State Community College, Texas State University-San Marcos, Pickens Technical Institute, Professional Training Schools – American Home Inspection Training Institute (AHIT), ILS Learning Corp, Kats of Albany Training Institute, International Training Associates, New York Home Inspection School, Inspection 21 Training Institute, Environmental Training Center, HITS-School Canada, License Instruction Schools, Professional Training Associates (PTA), The Bellmen Group, The Builders Academy, American Building Inspection Training, Inc., Milwaukee Lead and Asbestos Information Center, National Association of Real Estate Inspection and Evaluation Services, Green Education Services, National Institute of Building Inspectors (NIBI) • Retail and Service Providers – Grainger Inc., Lab Safety, Professional Equipment, SkyeTec Catastrophic Response Service, Casey-O’Malley & Assoc., Biomation Canada, Reli-Pro Equipment & Supplies, International Distribution Alliance, RRC Consulting Group Inc., Allstate Insurance (catastrophic loss division), Sims Insurance Agency, RX International, Real Estate Education Center, Insurance Office of America, BTS Labs, Hometest/METS lab, PRO-LAB, EMSL Lab, Aerobiology Lab, LA Testing Lab, Digital Diagnostic Labs, Indusco Distribution, Micro Consulting Inc., EMLab, Keystone Business Ventures, Inc., Indoor Environmental Systems Inc., Clarkson Chemical, Inc., Home Service Network, Inc., Yingst Homes Inc., Sopra Brands Inc., The Hillman Group. Calvin Zehring, President/Founder Cal Zehring brings more than 43 years of operations and management experience to bring into Environmental Solutions Association, Inc. Mr. Zehring previously was a License Public Accountant responsible for the overall management of a multi-location accounting business. He also had owned and operated businesses directly involved in; home inspection, general contracting, environmental assessments and remediation, and franchise opportunities. He has performed hundreds of field assessments involving water intrusion, mold inspection and assessments, radon assessments and mitigation, State licensed lead and asbestos assessments and remediation, Phase I environmental site assessments since 1987, and was also a certified home inspector with experience in residential and commercial construction. He has also assisted in developing over 10 environmental courses, has held over nine state licenses and certifications, and was on the board of AARST. As President of ESA, he focuses on working strategically in developing new markets and alliances for continued revenue growth. Cal holds a Bachelor’s degree from University of California in Business Administration. Joseph M Lyons, Vice President/Founder Joe Lyons brings more than 25 years of operations and management experience to Environmental Solutions Association, Inc. Mr. Lyons was a previous manager for a large International pharmaceutical company in which he had overseen department staff and wrote operation procedures recognized by the FDA. He was also a prior Vice President of a nationally recognized environmental consulting firm which specialized in catastrophic disaster assessments and remediations. Joe also had owned and operated businesses directly involved in; home inspection, general contracting, historical and antique restoration/preservation, environmental assessments and remediation, and environmental franchise opportunities. He has held over eleven state and national certifications and/or licenses in environmental and home inspection fields. During his career he has performed several thousand field assessments involving building assessments, environmental consulting, performed and reviewed Phase I Environmental Site Assessments since 1994, radon assessments and mitigation, state licensed in lead (Lead Inspector and Risk Assessor) and Asbestos Assessments/Abatements, and was also a certified home inspector with experience in residential and commercial construction. He has wrote and reviewed over 2,700 mold remediation specification reports, Joe is actively involved in overseeing large scale remediation and assessment projects in mold, radon, IAQ and Phase I. He has delivered several hundred courses in environmental issues over recent years and has developed industry standards for mold sampling and assessments. Mr. Lyons has also developed or assisted in writing over twenty environmental courses which are recognized by twenty seven state, national associations, and governing bodies. He is an EPA approved trainer and QA manager for the EPA’s Renovation, Repair, and Painting Rule and the Dust Wipe Sampling Technician courses. As Vice President of ESA, he focuses on working in developing new markets and alliances, new course content and research, technical review, growth strategies and consulting support. ESA is a for-profit nationally recognized Pennsylvania based Sub-S Corporation. The association has over 1,000 members national, over 100 members international and access to over 6,000 industry professional who perform environmental remediation and assessments, consultation services, construction and various property maintenance services. ESA provides private trainings for inspection and/or remediation franchises, realtor agencies, builder associations, insurance agents, and continuing educational providers. ESA also provides services for companies and members who are in need of catastrophic inspections performed, mold remediation protocols, indoor air quality assessment for Sick Building Syndrome, Building Related Illness, Phase I Environmental Site Assessment oversight and/or report sign-off, and third party review/consultation. ESA is committed in serving its members to the fullest extent. Benefits are now and will continually be added in the future. ESA prides itself in the amount of benefits it has for the members.